I had some extra time on my hands and decided to make this tank a little more feminine and fun. Ok well maybe I didn’t have extra time on my hands but I really wanted to add something to this tank. I never wear it and so I asked myself why, and the only thing I could figure was that it was just so blah. 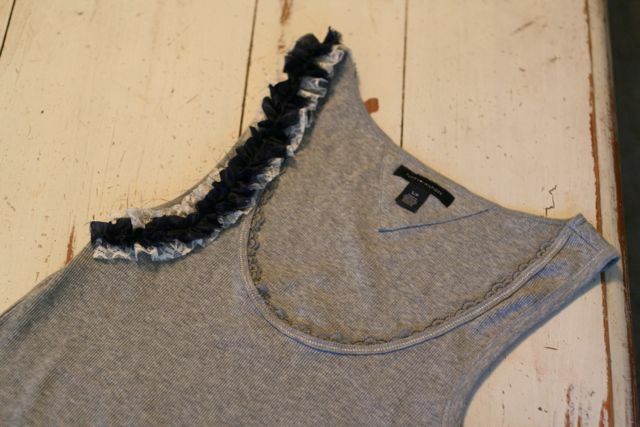 Adding ruffles is so easy, I used two scraps of fabric and lace that had been cut off a dress I was making… I love it when I find something to do with scraps. Directions: All you need is a sewing machine and scrap fabric. 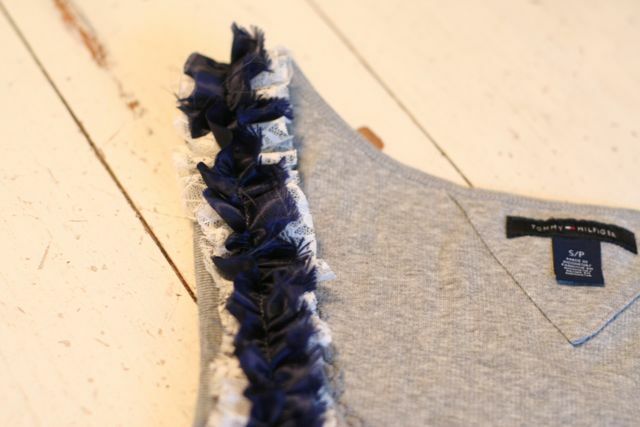 Using a longer stitch, stitch all the way down the middle of the scrap fabric, pull one thread from each side, making the scrap gather equally throughout the piece of scrap fabric. Do this with both pieces of scrap if you are using two pieces. 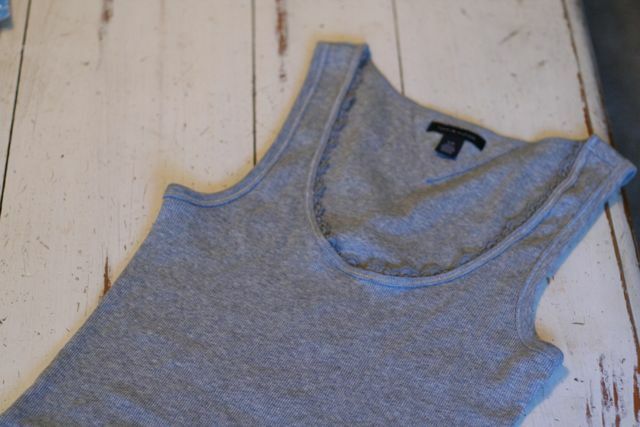 Layer on top of each other and sew onto your tank. I started a little in the back so it went all the way over the shoulder and down to under the armpit. This entry was posted in DIY, tutorial, upcycle on July 12, 2010 by Deanna.